It was always going to be a difficult task replacing the legend that was Edwin van der Saar, and when we signed a little-known youngster from Atletico Madrid last year, a fair few reds and rivals alike had it in for the young Spaniard from the off. Since then, he has made remarkable improvements, with more still to come. He is still just 22-years old, which is so young for a keeper, and the pressure on him must’ve been immense when he came to United, and personally I think he’s handled it extremely well. Mistakes were to be expected from Dave, and at the end of the day no keeper is perfect. 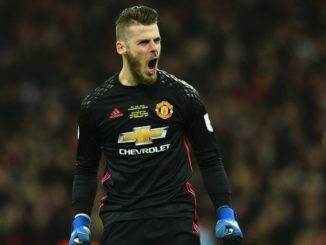 On the other hand though, some of the saves he produces are truly world class, after that superb 3-0 fightback away at Chelsea last year, Dave’s Spanish compatriot Juan Mata was standing over a free-kick, he hit it beautifully and it looked destined to find the back of the net, then De Gea leapt through the air and kept it out in superb fashion. Yes, De Gea has made some costly mistakes at times, but he’s also made some saves that have won us points, if he weren’t in net against Spurs at the weekend we probably would’ve come away with 0 points, instead we came away with one thanks to some of the saves he made.